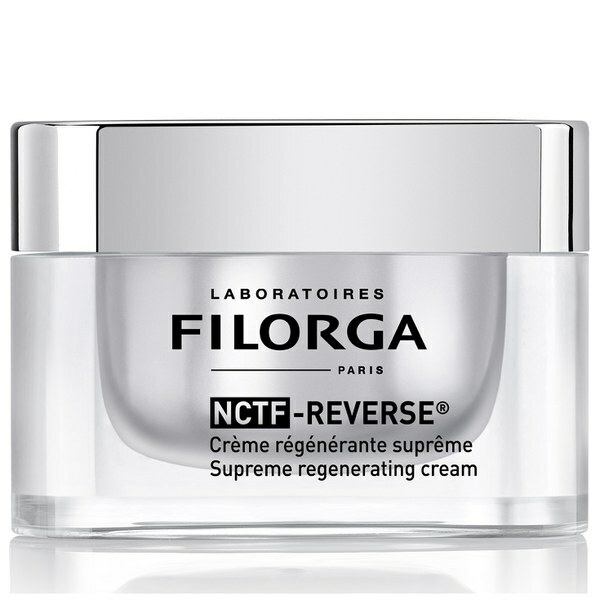 Renew the complexion with Filorga NCTF-Reverse; an effective regenerating cream that tackles wrinkles and loss of elasticity, whilst leaving skin radiant. 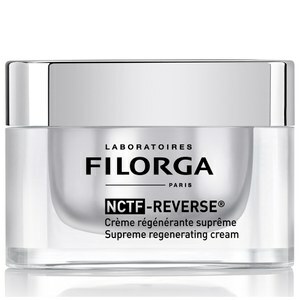 Utilising NCTF®, a medicine-derived polyrevitalising complex, the potent cream boasts an ultra-concentrated formula that has an equivalent concentration as injectable anti-ageing treatments. The rich cream is effortlessly absorbed, enriching skin with an anti-ageing cocktail of Hyaluronic Acid, Collagen and an array of Vitamins. 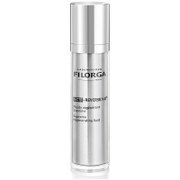 The intelligent solution is able to visibly smoothen the look of fine lines and wrinkles, even the appearance of skin tone and transform a dull complexion by offering enviable radiance. Complete with a generous dose of Shea Butter, the hydrating cream delivers a veil of moisture to skin, which leaves the complexion youthful-looking and matte. 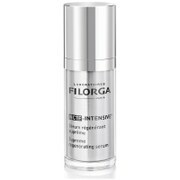 Suitable for all skin types, expect smoother-looking skin that appears healthy, supple and energised.